Taipei is surprisingly a nice city to visit. It has its certain charm that makes this place unique and a great destination to travel in Asia. 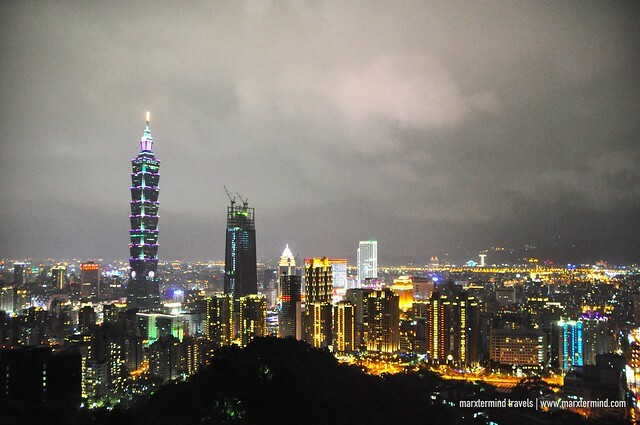 There are plenty of places to visit in Taipei and things that tourists can do. Temples, night markets, old districts, parks, historical sites, these and a lot more interesting attractions you’ll see. There are also some places to hike. This vibrant city instantly became a favorite destination for us. It has many surprises that interest me. We spent 5 days in Taipei and fell in love with its wonderful sceneries and skyscrapers. We went around the city and explored some of its significant landmarks. There is certainly plenty to do and see. 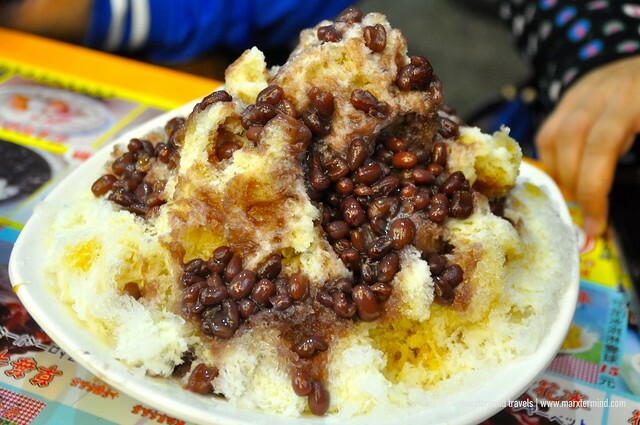 And if you’re planning to visit soon, here’s a list of top places to visit in Taipei. 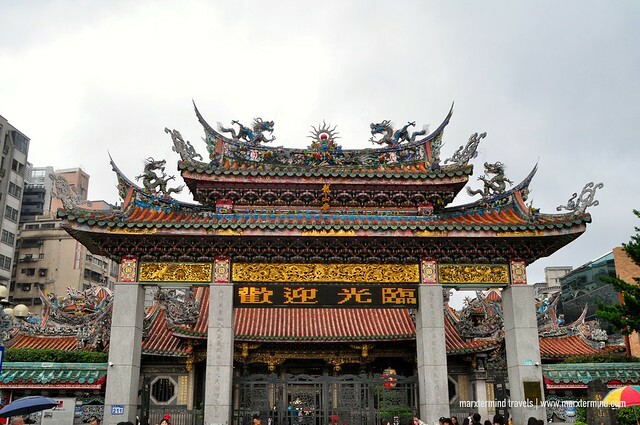 Taipei has a number of Buddhists, Taoist and Confucian Temples scattered throughout the city. These temples are essential part of the country’s culture. 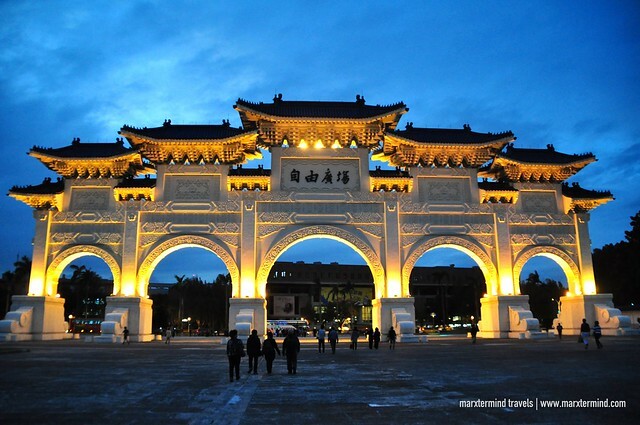 It also shows that Taipei, despite being a modern city has maintained its spiritual beliefs. We visited three temples in Taipei. These are Longshan Temple, Ciyou Temple, and Tianhou Temple. 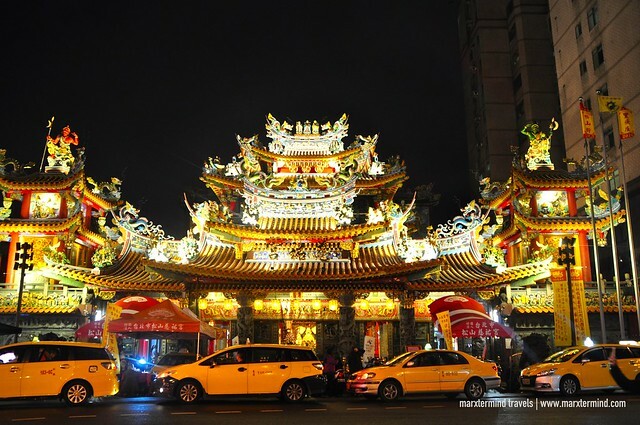 Longshan Temple is one of the most famous. It was built to specifically worship Guanyin, the goddess of Mercy. There are also statues honoring over other gods and goddesses throughout the temple. We stumbled upon Ciyou Temple when we were in Raohe Night Market. This magnificent and beautiful temple is located at the end of the street market. The temple is dedicated to Mazu, the sea goddess who watches over sailors and fisherman. Another temple dedicated to the Mazu is Tianhou Temple. This temple is right in the core of Ximending Shopping District. It has impressive decoration and beautiful ceilings and lanterns that made this place also worth a visit. 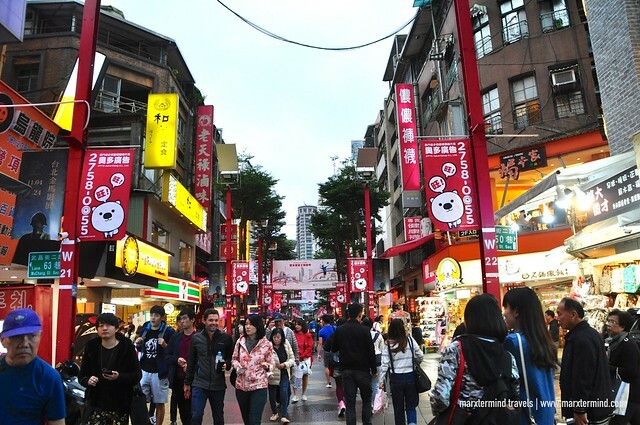 If you love shopping, Ximending is another one of the top places to visit in Taipei. It is often crowded by visitors, as there are abundant options of shops and restaurants. It is also a hot spot in Taipei that a lot of artists choose to hold concerts and events here. You’ll also see some street performers around. We went to Ximending on our first day. We checked out some stores. This shopping haven has a wide choice of fashionable clothing and accessories in many styles. We saw some famous brands including H&M. A few days after, we went back in Ximending to visit a nearby temple. We had lunch at the Modern Toilet as well to experience. Food wasn’t remarkable though. 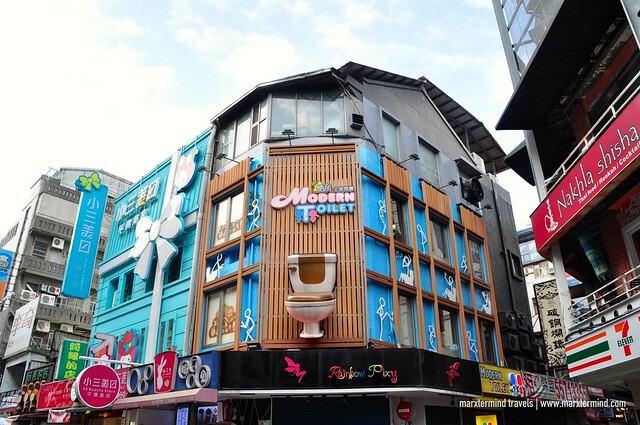 Ximending is accessible within walking distance from Ximen Station of the Taipei Metro. Another thing to experience in Taipei are the night markets. Taipei is well-known for their street markets. 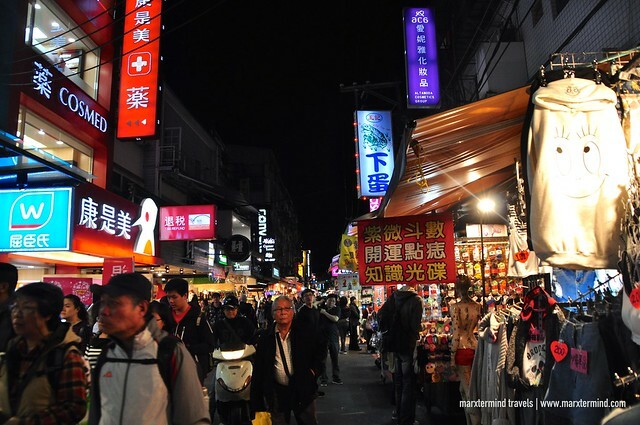 Most are open nightly and offer a variety of fresh Taiwanese snacks, clothing, household goods and fun accessories. But the main attraction is the street food. We were able to visit three night markets while we were in the city. We went to Ningxia Night Market, Raohe Night Market and Shilin Night Market. Ningxia Night Market is walking distance from our hostel so we went on our fist night. We planned to have our dinner but we got overwhelmed with several choices. We ended up dining at one of the restaurants. Then, we went to Raohe Night Market after our hike at the Elephant Mountain on our second night. This night market is one of the oldest markets in the city and one of the most traditional. I liked this place because it has more than just street food. It has a perfect mix. You’ll find interesting items like fun accessories and souvenir items. Another night market that we went to is Shilin. 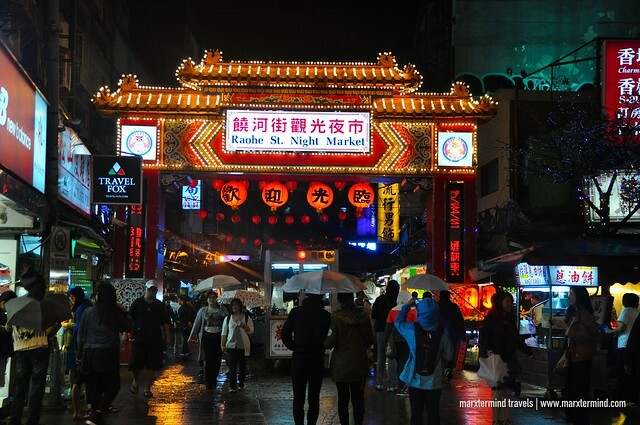 It is the largest and most famous night market in Taipei. 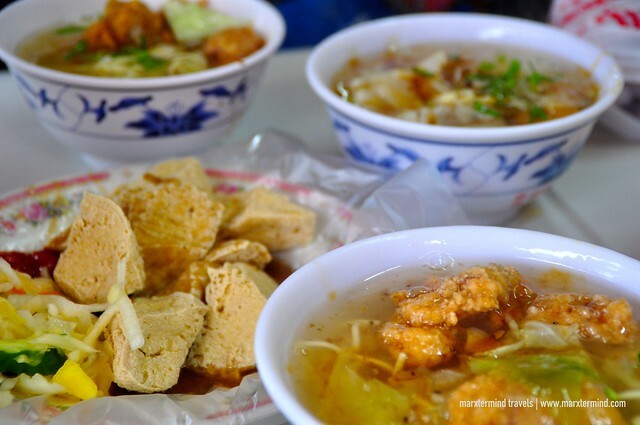 It has blocks of stalls filled with authentic Taiwan eateries and fashionable clothing. Vendors also sell variety of local, traditional and international merchandise. Tourists will surely enjoy this place because there’s a lot to see. 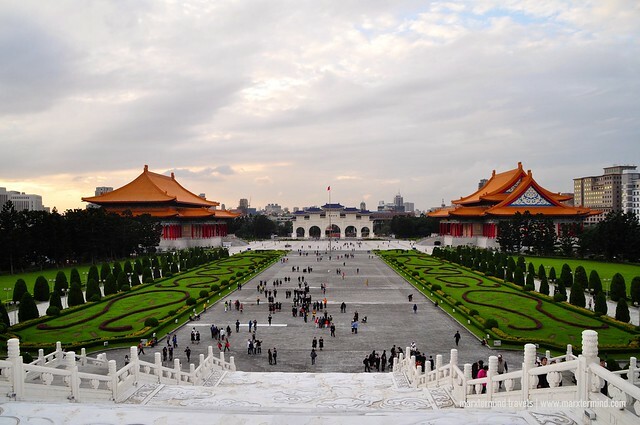 Chiang Kai-Shek Memorial Hall is the most prominent historical landmark in Taiwan. 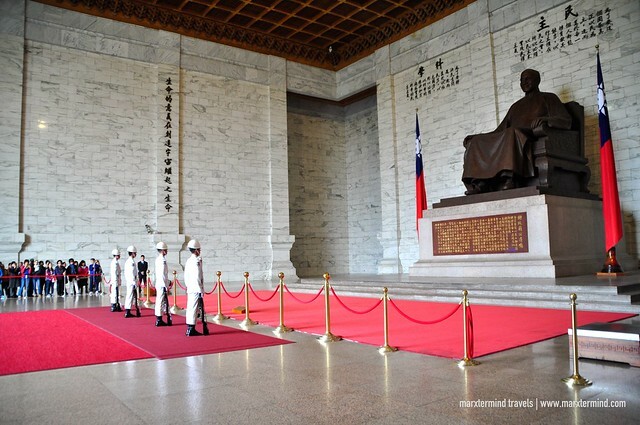 This monument was erected in honor and memory of Chiang Kai-shek, former President of the Republic of China. This significant landmark is surrounded by a park and stands at the east end of Liberty Square. We went to Chiang Kai-Shek Memorial Hall late afternoon already. We thought that we’ll have an ample time to walk around but ended up hurrying to explore the area. There’s a lot to see. We were able to witness the changing of guards and able to see the museum in the lower ground of the hall. The place is huge and well maintained. The square looks really impressive. I like the architectural display of the halls and the overall complex. 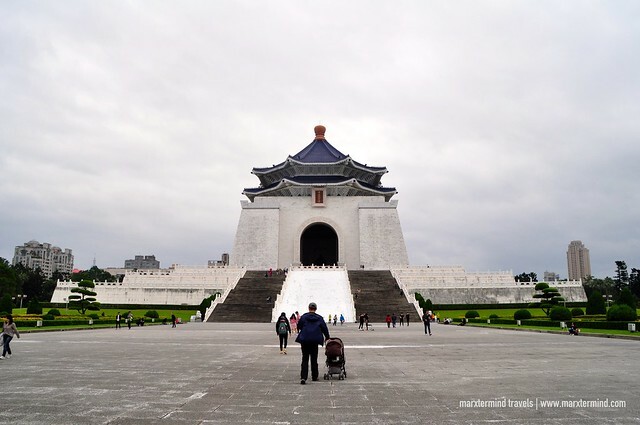 This historical landmark is indeed one of the top places to visit in Taipei. 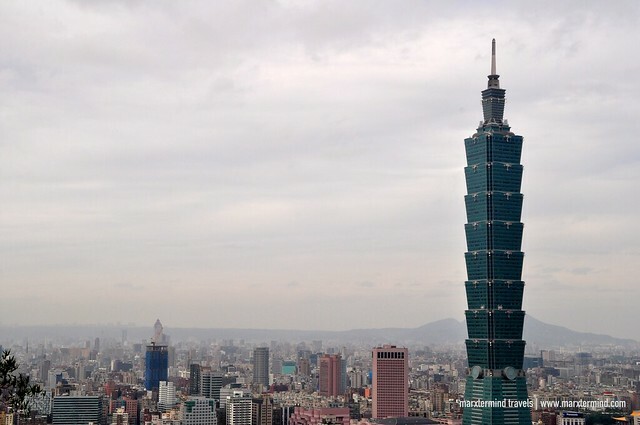 Taipei 101 is impossible to miss when you’re visiting Taipei. It is one of the top places to visit in Taipei. At 508m, it held the title of the world’s tallest green building. Taipei 101 is a Taiwan’s treasured skyscraper. 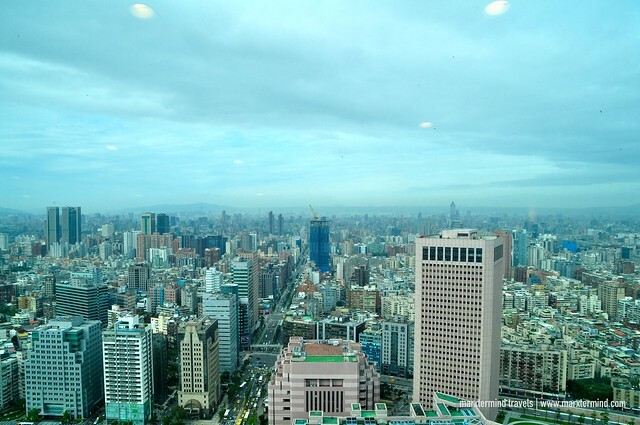 Taipei 101 is home to mostly offices of financial companies. The bottom floors consist of a massive shopping mall. The tower also has two observation decks on the 89th and 91st floors. Admission ticket costs TWD600 (~USD20). Ticket booths are on the 5th floor of the tower. The view from the top was breathtaking. Another place to have a panoramic view of the city is through the Starbucks on the 35th floor. But you can only go up by reservations. This is what we did. We asked our hostel to reserve for us because servers are mainly Mandarin speaking. We were able to reserve for 8:00 AM. So we planned that we’ll just have our breakfast there because visiting the Starbucks has a minimal charge of TWD200 (~USD7) that can be used for orders. Time limit for the visit is 90 minutes. Please note that slippers and shorts are not allowed. 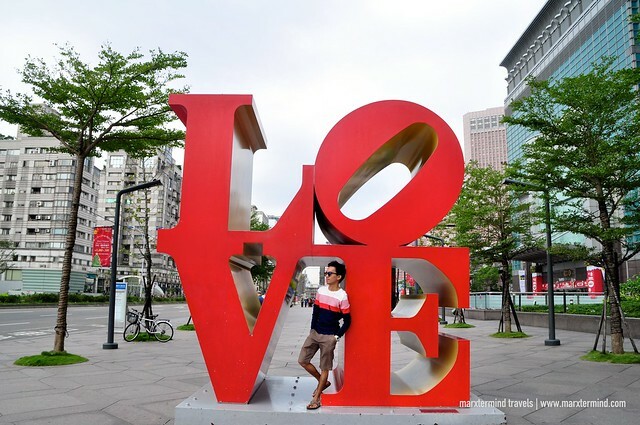 Another attraction to see at Taipei 101 area is the big signage of LOVE outside the tower. Best time to go is early morning when there are only few people around. 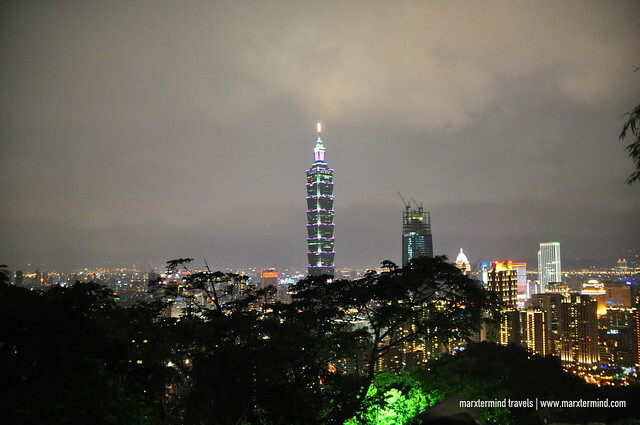 If you want to have a view of city with Taipei 101, the Elephant Mountain Trail is one of the best places to go. 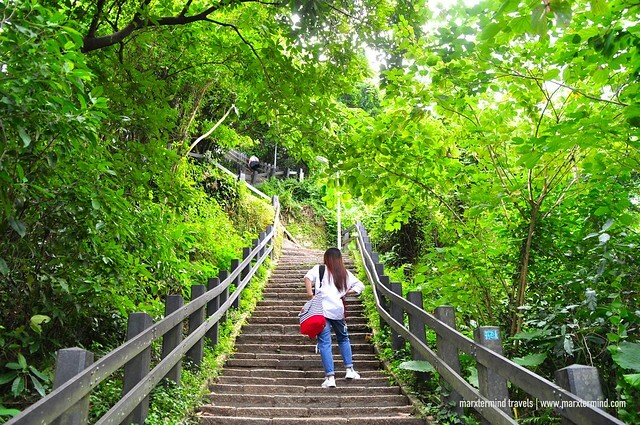 Elephant Mountain is one of the 4 beasts, which is the term for 4 small peaks on the east side of Taipei City. The trail at the Elephant Mountain is the most easily accessible among the peaks. It’s a short 30-minute hike to get on top but it wasn’t easy for me. The staircase is a steep walk. But once on top, we were rewarded with a stunning view of the city and the Taipei 101 building. We actually went here twice. 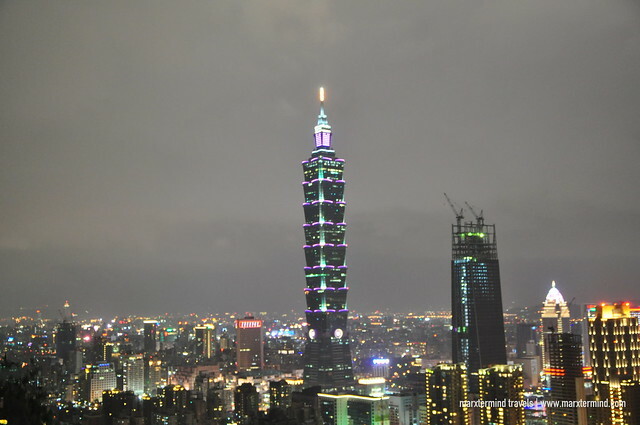 First was during nighttime to have a view of the city by night and the second one was after we went to Starbucks Taipei 101. We originally planned to hike Elephant Mountain late afternoon so we could have a view when there’s still sun and we could also see the during sunset and nighttime. Unfortunately, it rained and we weren’t able to arrive on time. But with a great city view of Taipei, I didn’t mind hiking to the top twice. It was totally worth the walk. These are just some of the top places to visit in Taipei. The city has a lot of interesting attractions and activities that tourists can do. We enjoyed exploring the city. It has a mix of various cultures, traditions and modern attractions, which makes this destination in Asia an instant favorite. Next story How to Visit Shifen and Jiufen in One Day?